Don’t you love the holiday months? My kids L.O.V.E. caramel apples. They always think they want one when we’re out. I even made them at home once, and the boys would sneak into the fridge and eat the caramel off the apple, and then put the apple back in the fridge. They actually really like apples, it’s just that a caramel apple is a lot to manage for a little mouth. All you need is an apple, a melon baller, butterscotch chips, sticks, and sprinkles. First, start by scooping out “apple balls” the same way you would scoop out “melon balls”. Make sure that each piece has some apple peel on it. Then, stick a craft stick in each apple bite. Then dip them in melted butterscotch chips and roll them in sprinkles. With the little bit of apple peel showing, it looks like it could be an entire mini-apple. I wondered too…so I gave it a try. 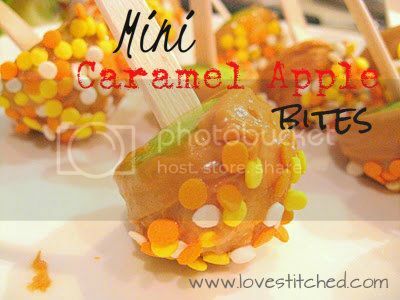 The juicy side of the apple does not let the caramel stick. No matter what I tried, the caramel just wouldn’t stick. It stuck to the apple peel just fine, but not the inside of the apple. Oh well…I think the butterscotch chips make a cute and yummy substitute! Thanks for a marvelous posting! I really enjoyed reading it, you’re a great author. 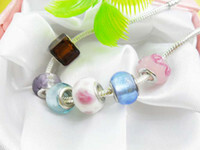 I will make certain to bookmark your blog and definitely will come back someday. I want to encourage that you continue your great writing, have a nice weekend!